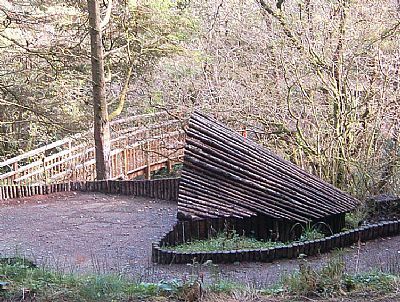 To provide access to a gorge and riparian woodland environment rarely encountered by using innovative construction techniques such as platforms, walkways and bridges. The trail includes a series of challenging climbs as well as all-ability access. A chance to experience close-up the biodiversity from tree-top to gorge bottom. 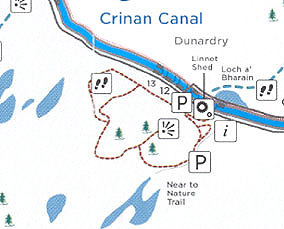 The upper workings of the Crinan Canal can also be explored from this trail. Gorges and riparian woodland are inaccessible to most people. However the diversity of species and the unique ecosystems supported by these areas are of considerable value and interest. Gorge habitats are important for their rich flora and fauna and the steep sides mean that they remain relatively undisturbed but also unexplored. Dunardry gorge, half way along the Crinan Canal, has been identified as a site where the public can get a better feel for these habitats as it links to an existing Forestry Commission Scotland recreation route. In addition, the river in the gorge forms part of the system that fills the canal from the reservoirs in the hills, making it part of the Crinan Canal industrial monument. Network of paths in place. Lead Partner - Forestry Commission Scotland. 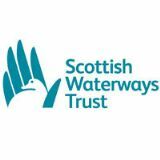 Other partners - Scottish Natural Heritage, British Waterways Scotland. The Near to Nature Trail was opened in June 2010. 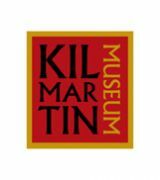 Explore the trail with a Self-Guided Leaflet.